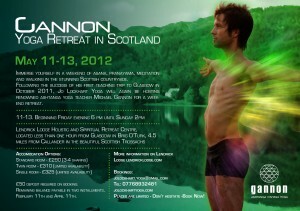 Gannon’s first yoga retreat in the United Kingdom. Immerse yourself in a weekend of asana, pranayama, meditation and walking in the stunning Scottish countryside. 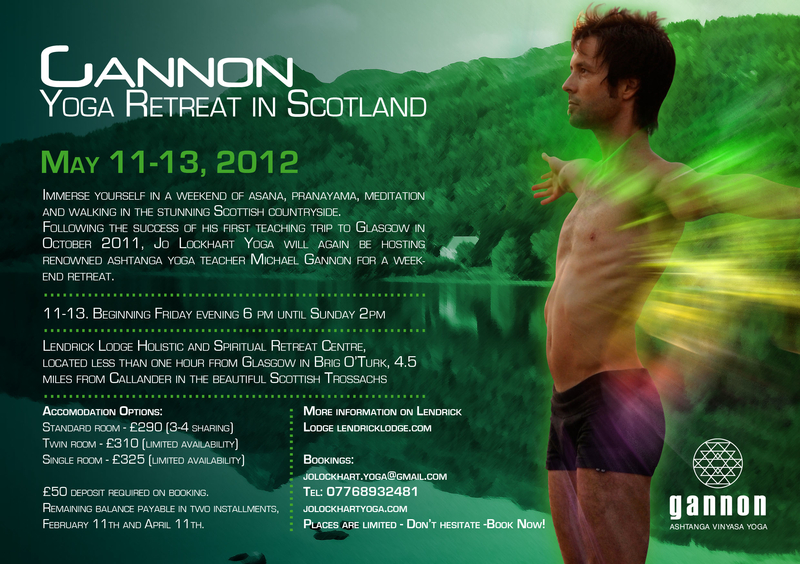 Following the success of his first teaching trip to Glasgow in October 2011, Jo Lockhart Yoga will again be hosting world renowned yoga teacher Michael Gannon for a weekend retreat. Locted less than one hor from Glasgow in Brig O’Turk, 5 miles from Callander in the beautiful Scottish Trossachs. Remaining balance payable in two installments — February 11th and April 11th. Space is limited! It will sell out!